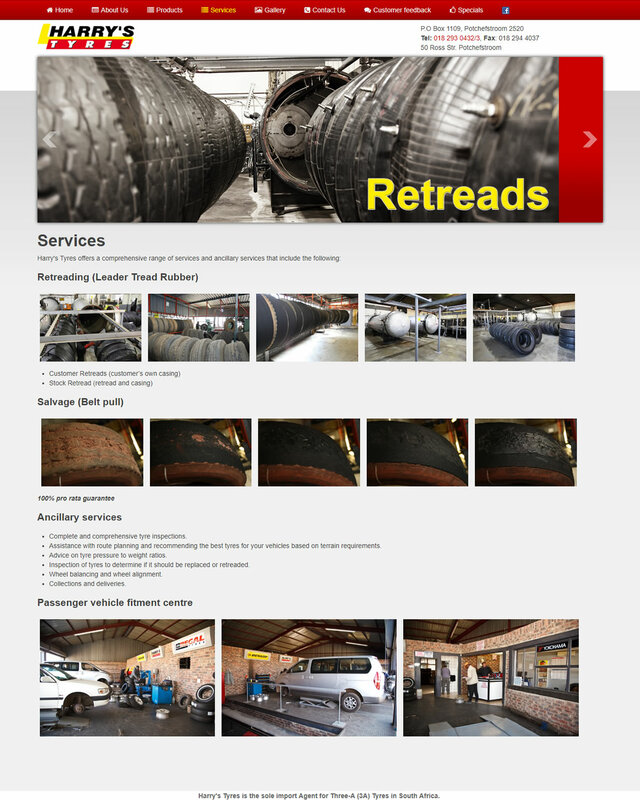 HARRY’S TYRES commenced trading in 1952 as a tyre fitment centre based in Potchefstroom in the North West Province of South Africa. Over the years the success of the operation has enabled the company to grow from these humble beginnings to where it is today. Boasting a state of the art fully operational Retreading Factory, their services include tyre fitment, import and export of casings, new passenger- and truck- as well as earthmover tyres, the sale of new and second hand tyres (truck and passenger) as well as ancillary products and services. 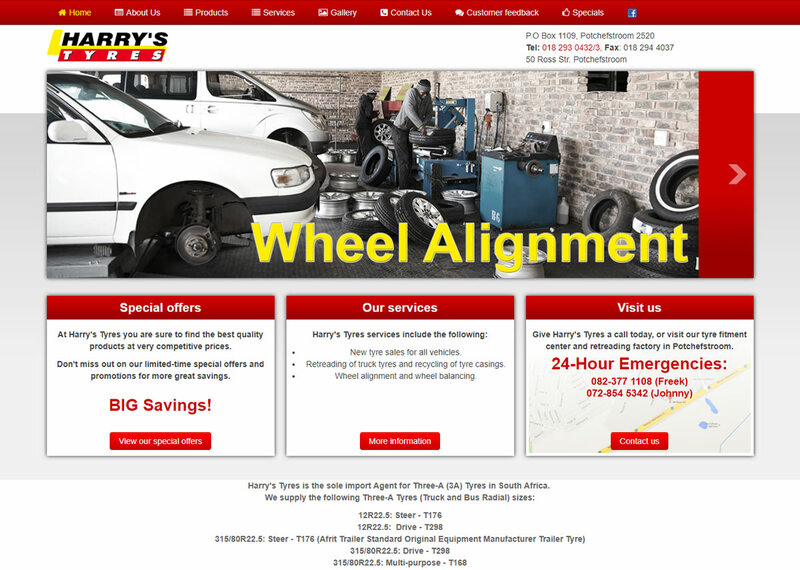 HARRY’S TYRES contracted SES WEB in 2015 to build a website that will showcase their services with special emphasis on their re-treading plant and customer service centre. Joomla! CMS was selected for the project and the design was complimented by responsive features to ensure that users can access the website from various devices.